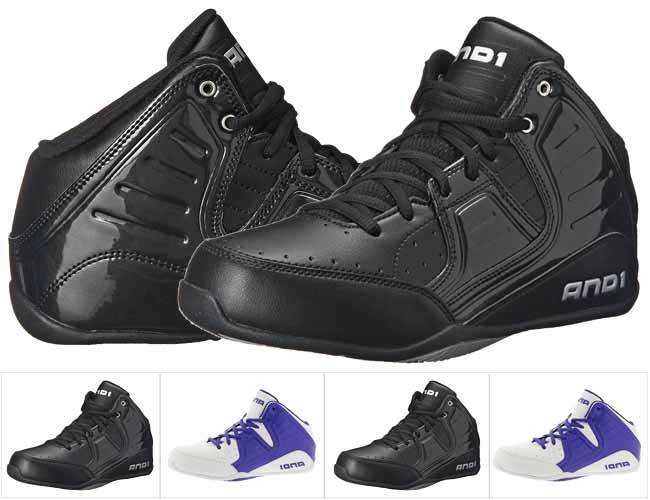 Like most other AND 1 basketball shoes, this particular model too is suitable for all basketball players and enthusiasts. Featuring a special heel quarter molding for added support and stability to the heel and ankle while playing, they are great for safe and swift movement on the basketball court. The Rocket 4.0 shoes offer a very comfortable and tight fit, which provides added heel, ankle and medial support while moving and abruptly changing directions during a game. The insole features a heel-mirroring system which provides extra support to the arch. For those who don’t like so much cushioning – this insole is removable so this issue is easily resolved. Despite the nice tight fit, these shoes provide superb breathability, even during a highly intensive game or training session, mainly via the especially designed mesh tongue and the drilled synthetic leather of the upper. These shoes have a low construction, so your feet will feel closer to the ground and you will have more in control of your movements on the basketball court. The low-sew construction helps reduce the overall weight of the shoes and improve the total comfort. They are a bit wider than the average basketball shoes, so it could be a good idea to try them out for the right size before ordering them. We must say that these basketball shoes are designed and made to improve the performance of the basketball players who choose to wear them. They are really light and flexible and have nice and comfy added cushioning and provide all necessary support you need while running, switching directions and jumping on the court. Not only are they great for improving overall performance, but we must say that they look great and can be purchased at a very acceptable price.